Just a reminder that the mud auctions are going to start up soon. I’ll post the full schedule next week. 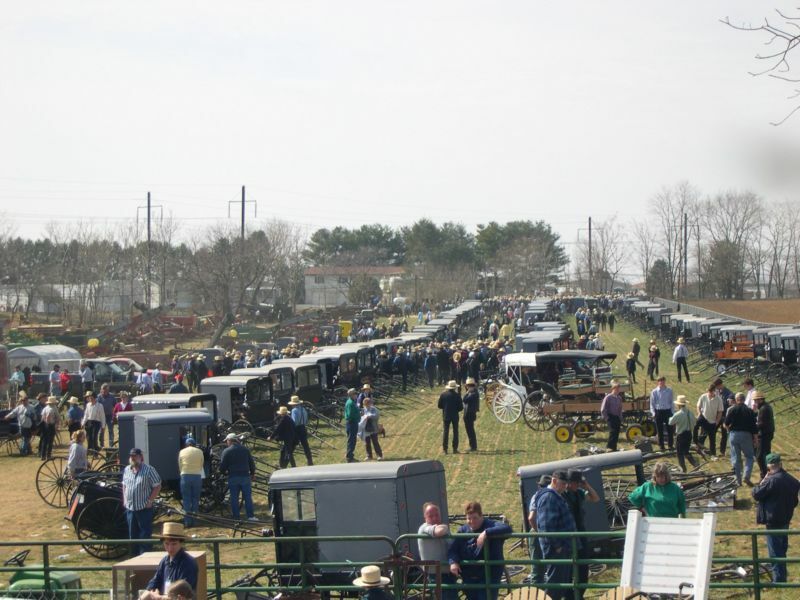 My favorite is the Gordonville Auction which is the second Saturday of March. 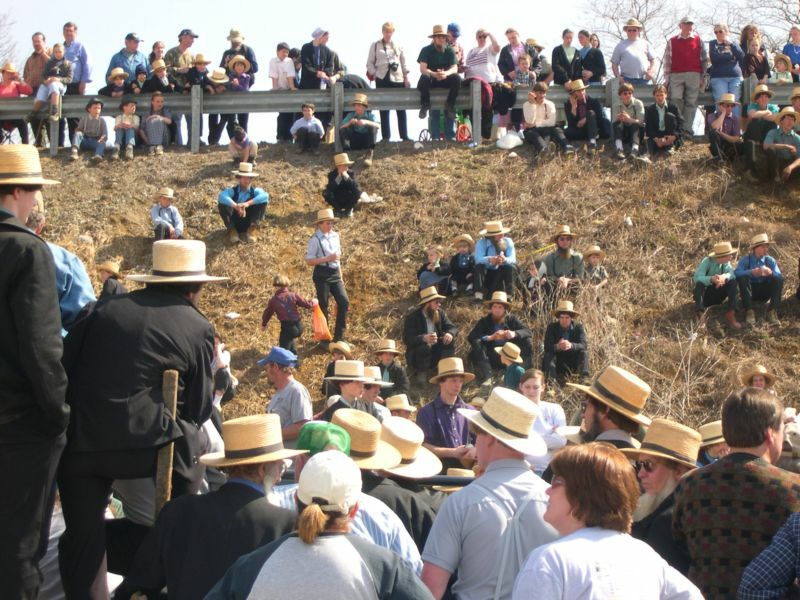 They are called “Mud Auctions” because – it is usually muddy, and those Amish don’t mince words. 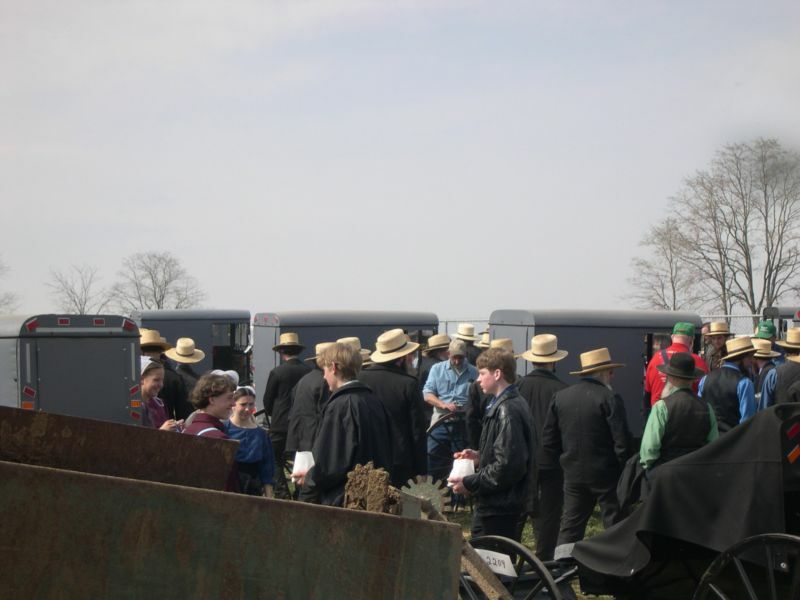 The auctions benefit the local volunteer fire houses which are heavily supported by the Amish. Buggies and farm equipment are sold in the field, and this is where most of the mud comes from. “English” (that’s you and me) are there too. I go to buy quilts. They auction off over 600 quilts in one day inside the fire hall. You can preview them on Friday night if you want to and I suggest you do this so you can see them up close before you bid on them. It’s hard to tell the quality of the stitching during the auction as the quilts are hoisted up high so everyone can see them. 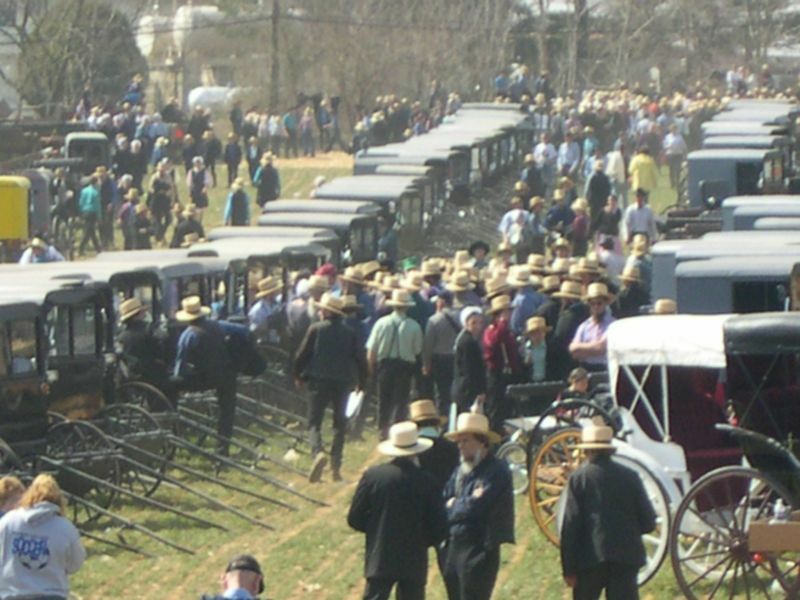 There is alot of food, alot of stuff to buy and a whole lot of Amish, so if this is your idea of fun- this is the place you need to be. Remember, it is the second Saturday of March. See you there. 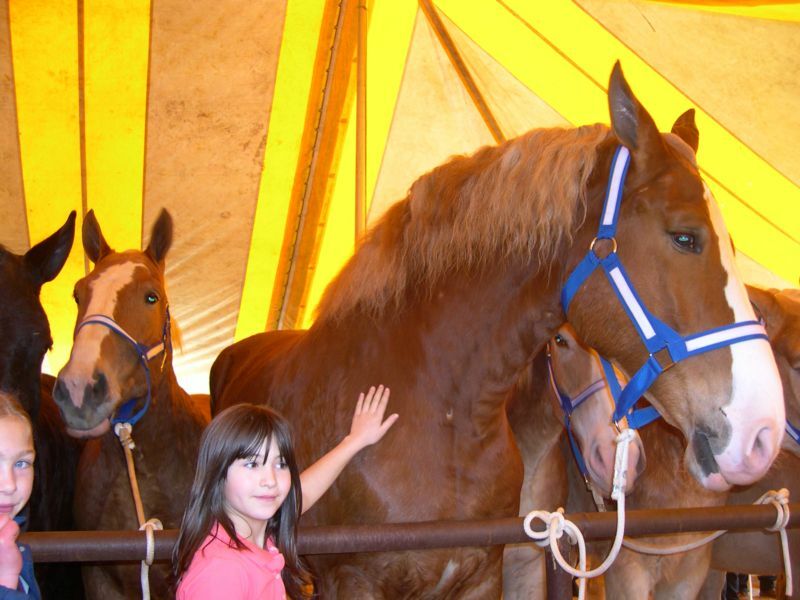 They also auction off mules, horses and ponies. This is my Jilly next to a horse we could never afford to feed or clean up after, but he sure was pretty.